The Online Auction offers an extraordinary selection, including many French and non-French wines. Expect to find the greatest bottles from a variety of appellations, not to mention the nearly 200 lots offered without a reserve price. This sale closes on Tuesday, 12 May. From Bordeaux, this sale includes a unique selection of the stunning 2000 vintage from top châteaux: Lafite Rothschild (and its Carruades), Mouton Rothschild, Haut Brion, La Mission Haut-Brion, Margaux, Latour (don’t forget Les Forts de Latour), Cheval Blanc, Ausone, Petrus, Brane Cantenac, Canon La Gaffelière, Pavia Macquin, Ducru Beaucaillou, Malartic-Lagravière, Yquem, Les Carmes Haut-Brion and more. You will also have the opportunity to bid on a very remarkable bottle: an imperial of Château Mouton Rothschild 1989. At six litres, this is equivalent to eight bottles of this premier cru from Pauillac! Other great Bordeaux wines offered in larger formats include a 1989 magnum of Petrus, a 1963 double magnum of Mouton Rothschild and a 2008 magnum of La Conseillante. 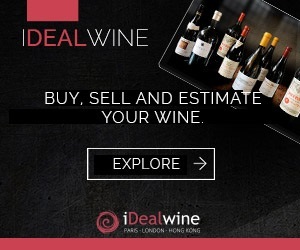 Finally, this sale also offers the usual old and rare vintages from Bordeaux: Yquem 1908 (a great vintage for Bordeaux sweet wine) and 1935, Haut-Brion 1919, Poujeaux 1928, Arche 1936, Rauzan Gassies 1937, Léoville Poyferré 1940, Mouton Rothschild 1943 and the magnificent 1945 vintage from Lynch Bages. 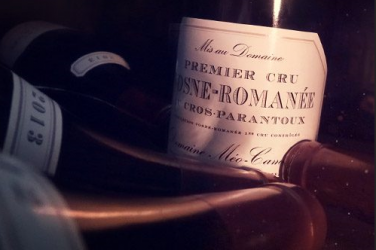 Looking at Burgundy, you will find Domaine de la Romanée Conti and its collection of Grands Crus: La Tâche (1970, 1971, 1972, 1973, 1981 and 2000), Montrachet, Echézeaux, Grands Echézeaux 1947 and Richebourg. Many other prestigious producers are finally also accessible through this sale: Armand Rousseau (Chambertin Clos de Bèze), Denis Mortet (Chambertin), Coche-Dury (Meursault Les Perrières), Comtes Lafon (Montrachet), Comte Georges de Vogüe (Bonnes-Mares, Chambolle-Musigny Les Amoureuses), Jacques Prieur (Montrachet), Leflaive (Bienvenues-Bâtard-Montrachet, Chevalier-Montrachet), Jacques-Frédéric Mugnier (Bonnes-Mares), Perrot-Minot (Chambertin Vieilles Vignes), Bernard Dugat-Py (Chambertin) and more. The offer from Champagne may be short, but is full of quality! Large formats are honoured with jeroboams of Cristal (Louis Roederer) 1999, a magnum of Krug Collection 1979, as well as magnums of Mumm Cordon Rouge 1952, Crystal 1990 and Grand Siècle Laurent Perrier… In normal bottle sizes, look for the famous Clos du Mesnil of Krug 1988, the Collection 1979 of the same house, Moët & Chandon Brut Impérial 1964 or Cristal Roederer 1969. You will also find the Champagne houses of Veuve Clicquot, Dom Pérignon, Bollinger and Ruinart. Conversely, this sale offers a wide range of top Rhône Valley wines from Côte-Rôtie, Hermitage, Crozes-Hermitage, Châteauneuf-du-Pape, Cornas, Condrieu, Gigondas… Bid on a double magnum of Hermitage l’Ermite 2005 from Chapoutier (no reserve price! ); Côte-Rôtie 1999 and 2000 from Guigal (La Landonne, La Turque and La Mouline); Hermitage La Chapelle 1990 from Paul Jaboulet Aîné; Châteauneuf-du-Pape from Château Rayas; or Hermitage 2003 from Jean-Louis Chave. 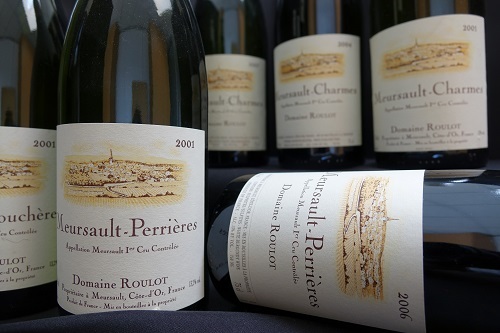 The Loire Valley is also well-represented at this auction, featuring a Vouvray Goutte d’Or Clos Naudin 1990 by Philippe Foreau, the famous Saumur-Champigny by Clos Rougeard of 2003, 2006 and 2010, or a Sancerre Clos la Neore by Edmond Vatan from 2008. 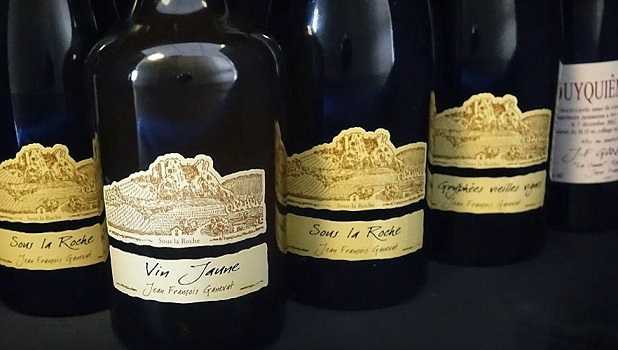 You can also take your pick from many other wines of the southwest (Madiran, Monbazillac, Jurançon), Languedoc-Roussillon, Provence, Jura, Alsace (Domaine Zind-Humbrecht, Marcel Deiss, Domaine Ostertag) and even Cognac, Rum, Whisky and Port. And finally, from the rest of world, this auction offers a fine selection of wines from Spain (including the famous Unico by Vega Sicilia in Ribera del Duero), Italy (Piedmont, Tuscany), Germany, Austria, Hungary (Tokay), Australia, Chile, Argentina and the Napa Valley. This Online Auction closed on Tuesday 12 May.